The California Department of Parks and Recreation operates SNO-PARK sites that offer access to snow play areas, cross-country ski and snowmobile trails. There are sanitation facilities in these snow-cleared parking lots. Snow-cleared parking lots cannot be guaranteed on a daily basis because of weather conditions and snow plowing priorities. The SNO-PARK Program is administered by the Off-Highway Motor Vehicle Recreation (OHMVR) Division. Call the SNO-PARKS hot line at (916) 324 -1222 for any questions. Yuba Pass south side of Highway 49 at Yuba Pass in Sierra County. Cross-country ski trails north of highway. Snowmobile trails both north and south side of highway. Call USFS (530) 994-3401. Donner Summit south side of I-80 at Castle Peak exit beyond Boreal Inn frontage road in Nevada County. Ski trails are on north side of freeway. Snow play, cross-country ski area with some snowmobiling. Call USFS (530) 587-3558. Donner Lake south side of I-80 at Donner Lake exit on Donner Pass Road at Donner Memorial State Park in Nevada County. Ski trails to Donner Lake and Donner Party historic sites. Cross-county skiing. No snowmobiles. No overnight parking. Call (530) 582-7892. Blackwood Canyon west side of Highway 89, 3 miles south of Tahoe City in Placer County. Cross-county skiing and snowmobile trails. Call USFS (530) 573-2600. Taylor Creek west side of Highway 89 just north of Camp Richardson in El Dorado County. Cross-country skiing to Fallen Leaf Lake. Limited snowmobiling and snow playing. Call USFS (530) 573-2600. Echo Lake north side of Highway 50 at Echo Lake Road half-mile west of Echo Summit in El Dorado County. Popular cross-country ski area with limited snow play. No snowmobiles. No parking on entry road. Call USFS (530) 573-2600. Hope Valley south side of Highway 88 at Blue Lakes Road 5 miles east of Carson Pass and 2 miles west of Picketts Junction (highways 88 and 89) in Alpine County. 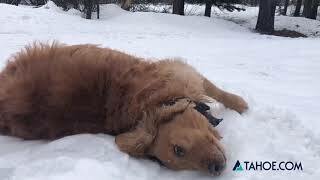 Snowmobile trails, cross-country skiing, dog sledding and limited snow play. Overnight parking limited. Call USFS (775) 884-8101. Carson Pass south side of Highway 88 at Carson Pass 60 miles east of Jackson in Alpine County. Very popular cross-country ski area with limited snow play. No snowmobiles. Call USFS (209) 295-4251. Meiss Meadow north side of Highway 88, quarter-mile west of Carson Pass in Alpine County. Popular cross-country ski area with limited snow play. No snowmobiles. Call USFS (209) 295-4251. Iron Mountain north side of Highway 88, at the Mormon-Emigrant Trail Road 40 miles east of Jackson in El Dorado County. Extensive snowmobile trails. Cross-country trails and snow play areas. Call USFS (209) 295-4251. Lake Alpine at winter closure gate on Highway 4, just past turnoff to Mt. Reba Ski Area in Alpine County. Sno-Park site is about 55 miles east of Angels Camp. Extensive cross-county skiing. Snowmobiling trails and snow play areas. Call USFS (209) 795-1381. Spicer south side of Highway 4 at Spicer Road in Calaveras County about 45 miles east of Angels Camp. 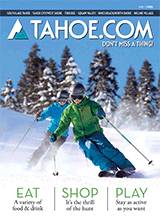 Snowmobile trails, cross-country ski trails and snow play areas. Call USFS (209) 795-1381. Highway 108 at winter closure gate on Highway 108 6 miles east of Strawberry in Tuolumne County. Snowmobile trails, cross-country skiing and limited snow play. Limited overnight parking. Call USFS (209) 965-3434. A SNO-PARK permit is required for each vehicle parked at a SNO-PARK site from November 1 through May 30 of each year. Permits are sold as Day Permits or Seasonal Permits by permit vendors throughout northern California. Day permits are $5 and are valid for one single day. Season permits are sold for $25 and are valid for the entire SNO-PARK season. See website for vendor list. The SNO-PARK permit must be displayed on the left side of the vehicle dashboard where it can be seen clearly from outside the vehicle. All permits sold are nonrefundable; day permits are non-transferable. Any vehicle parked at a SNOPARK site without a permit properly displayed is subject to a $75 fine. Should you receive a fine and have questions, contact the court or law enforcement office of the County in which the SNO-Park site is located. Parking is on a first-come, first-served basis at all SNO-PARK sites. No refunds are issued if a SNO-PARK is full. Park and drive carefully within SNO-PARK sites. Overnight parking, including in-vehicle camping, is allowed except where noted or signed at Sno-Park sites. Tent camping or sleeping outside a vehicle in the parking area is prohibited at all SNO-PARK sites. Do not build campfires on paved areas. Do not litter SNO-PARK sites. Carry a shovel and tire chains. Vehicles parked overnight need to be staked at all 4 corners with 1×2 inch-by-8-foot poles to prevent accidental damage by snow removal equipment. Call (800) 427-7623 for a CALTRANS recording on highway conditions. For more information: Contact the California Department of Parks and Recreation-Winter Recreation Program at (916) 324-4442 or visit www.ohv.parks.ca.gov.